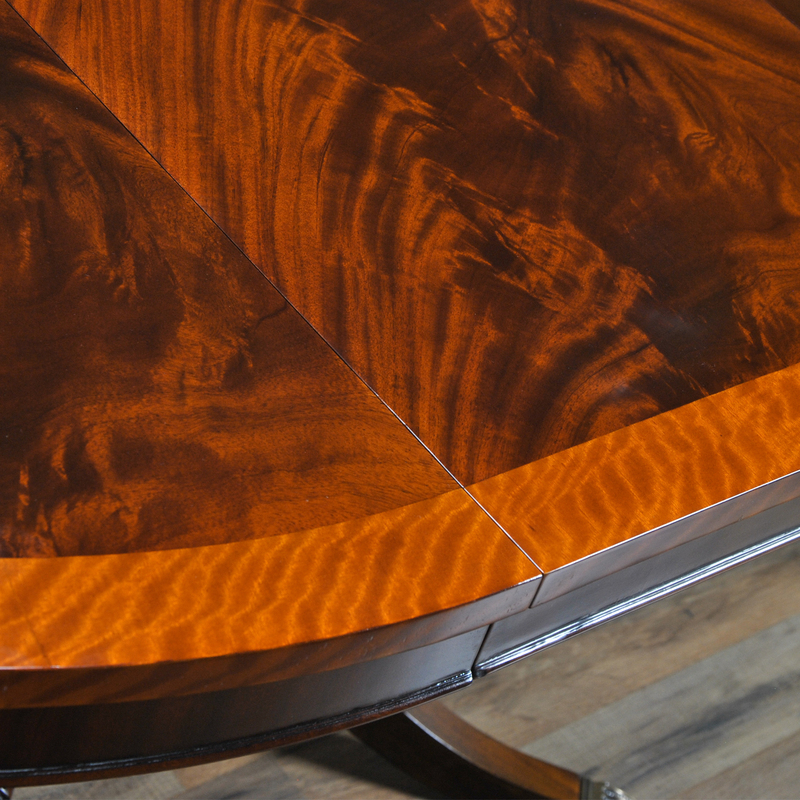 The Niagara Furniture Lyre or Harp Base Dining Table. 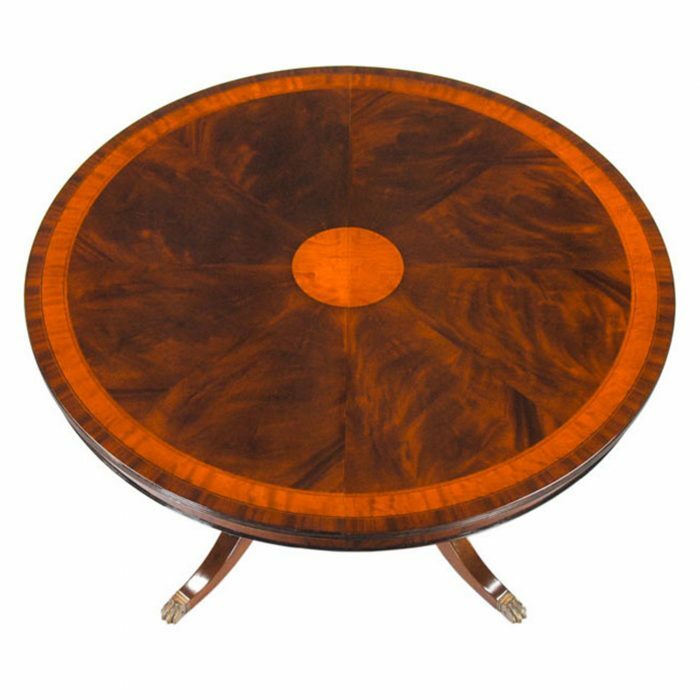 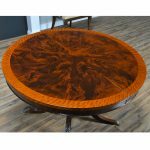 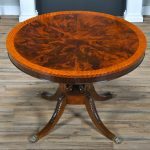 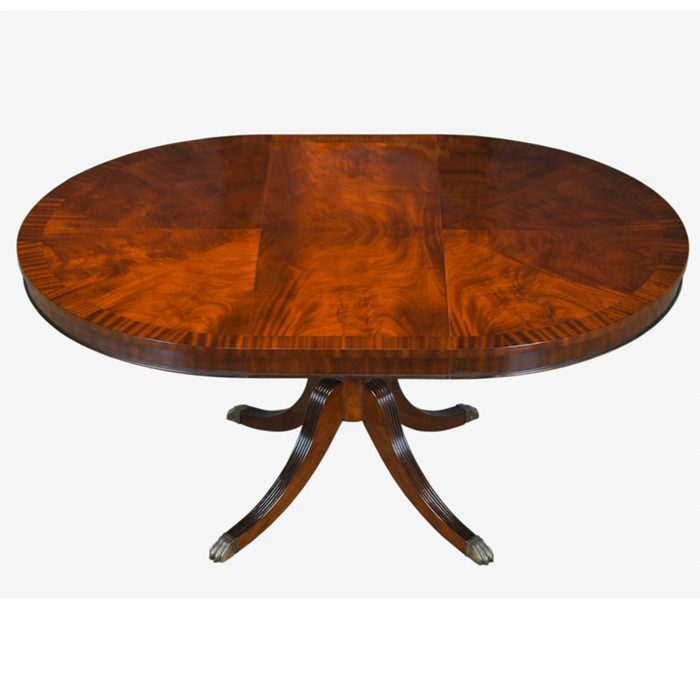 Always popular this round to oval shaped dining table rests on a lyre base which matches many other items in our collections. 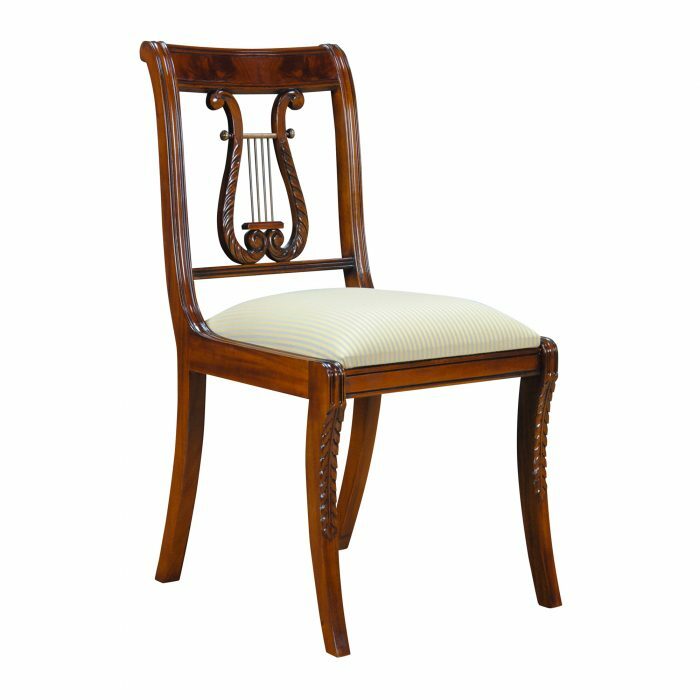 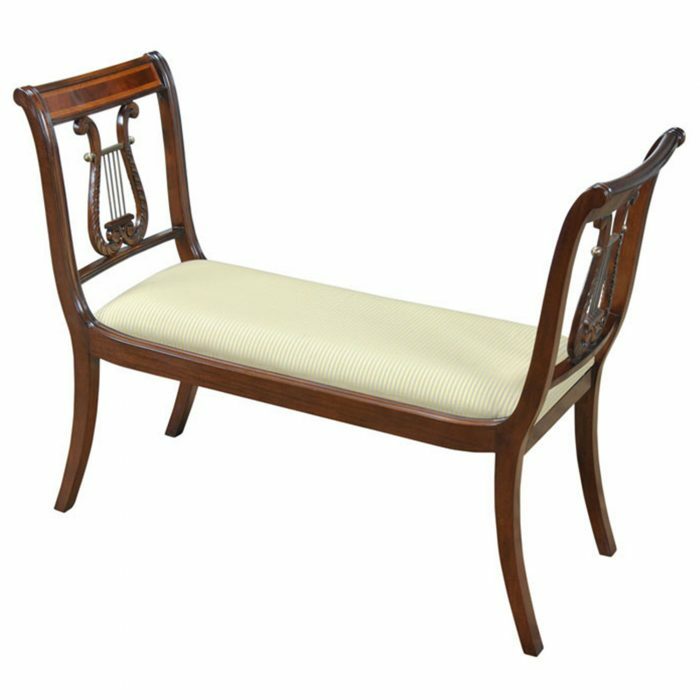 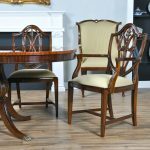 Please see the related products tab below for chairs, benches and other related pieces that match. 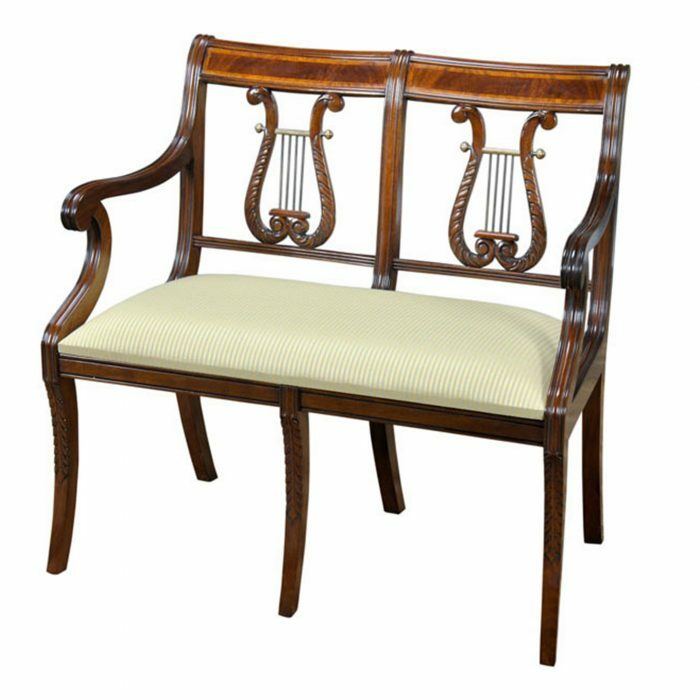 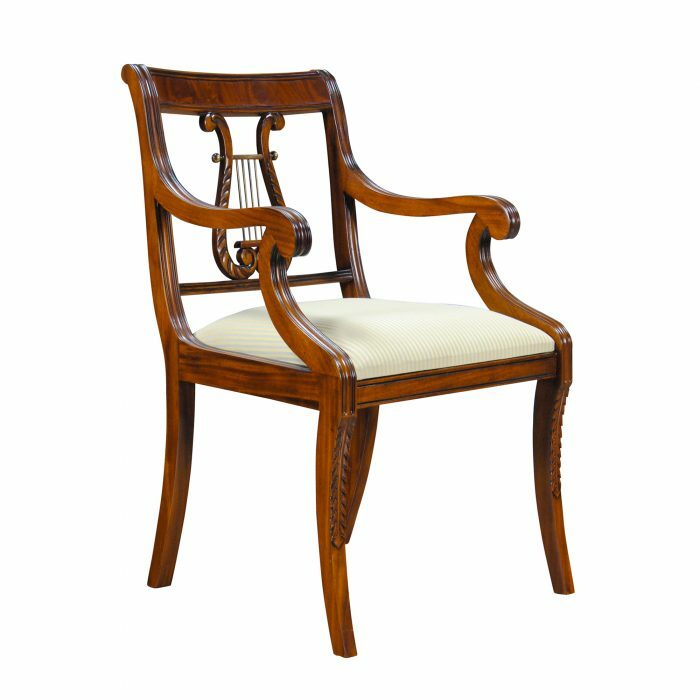 The lyre base is hand carved by experienced craftsmen from mahogany solids and veneers, the feet are tipped with high end brass caps in a Regency style foot. 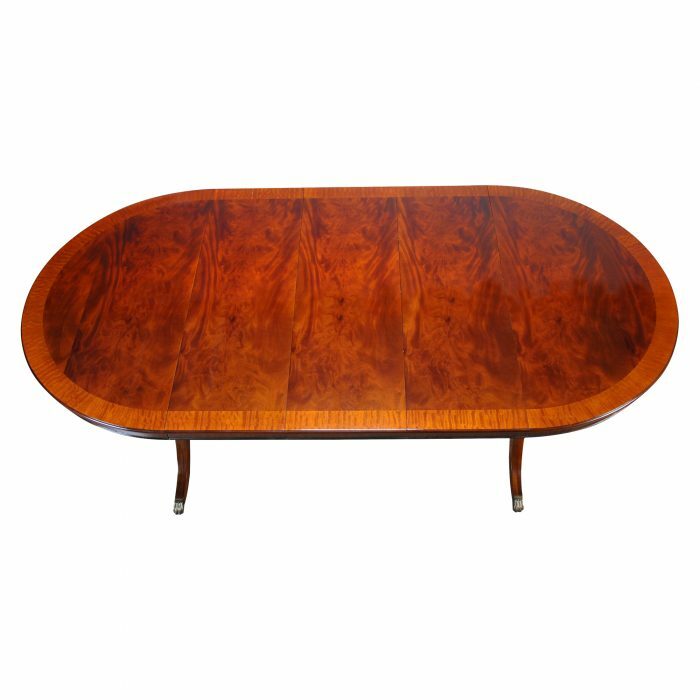 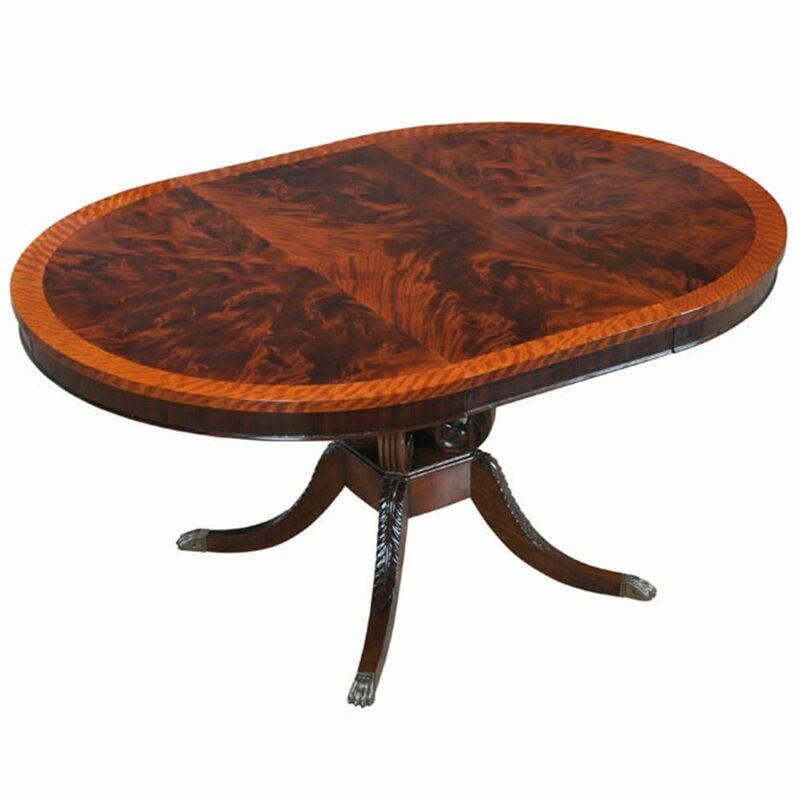 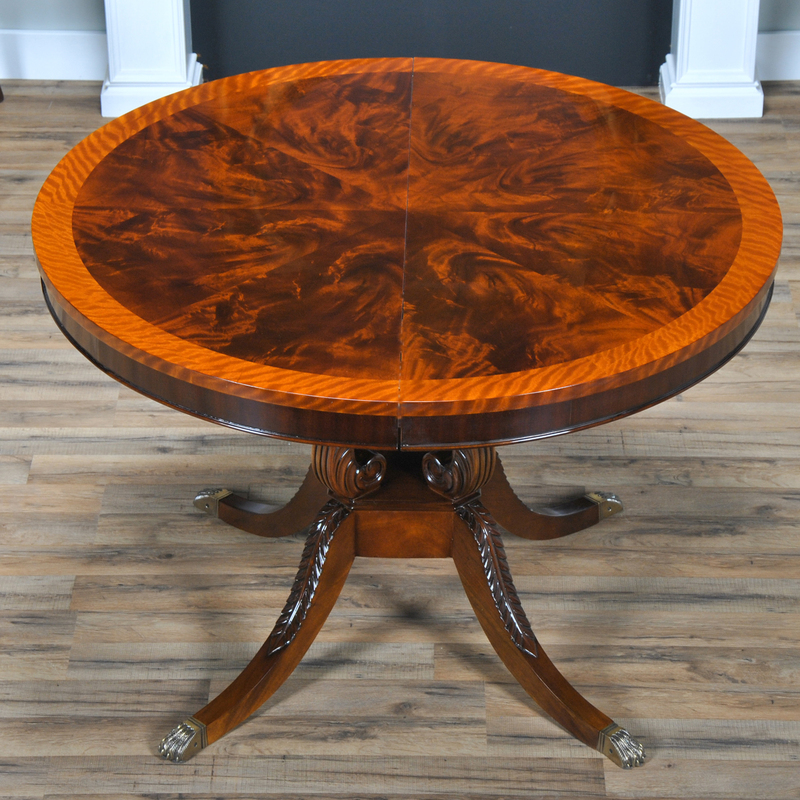 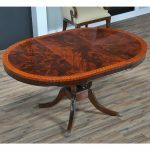 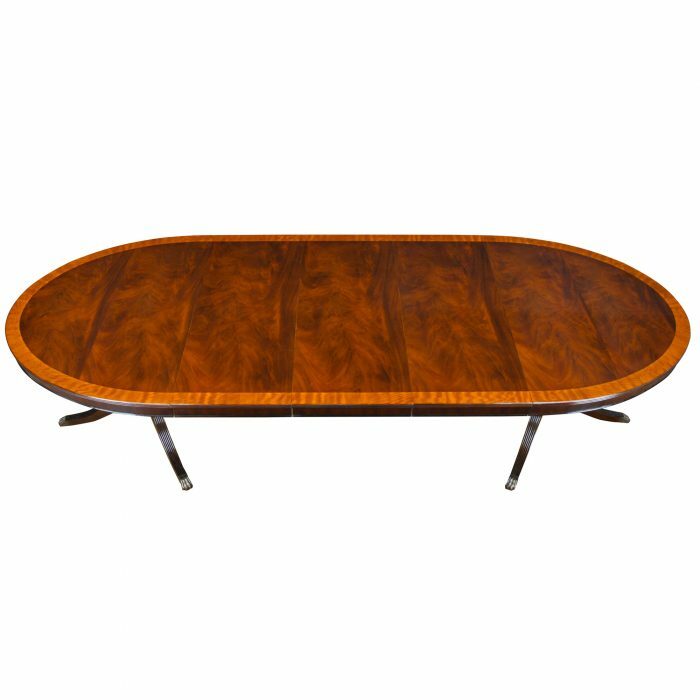 The table top of our Harp Base Dining Table boasts the finest grade mahogany veneers available anywhere arranged into an eye catching design and surrounded by satinwood banding. 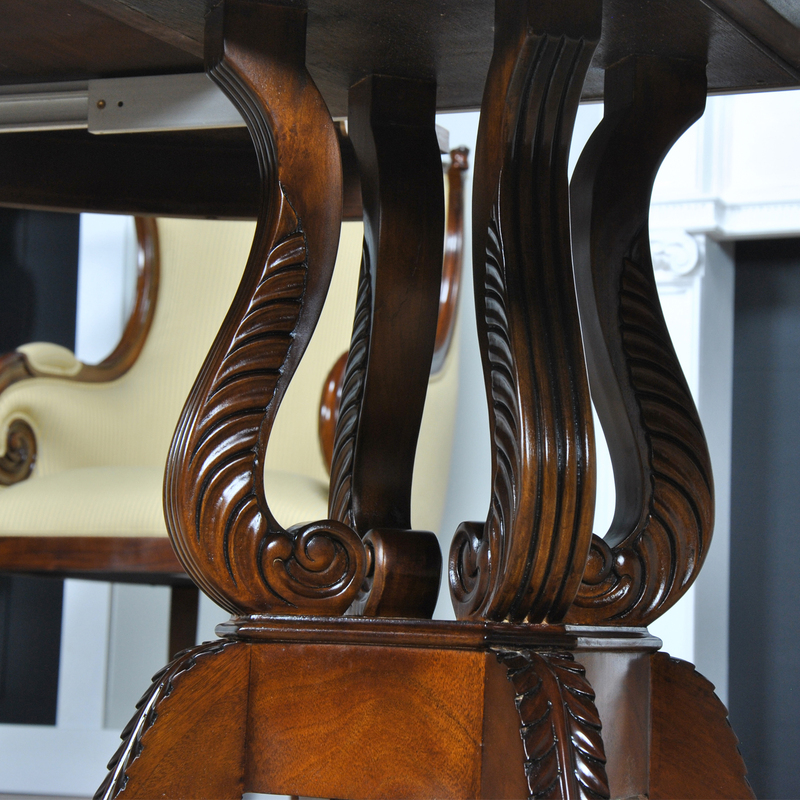 The table seats four comfortably when closed and six when the leaf is in place. 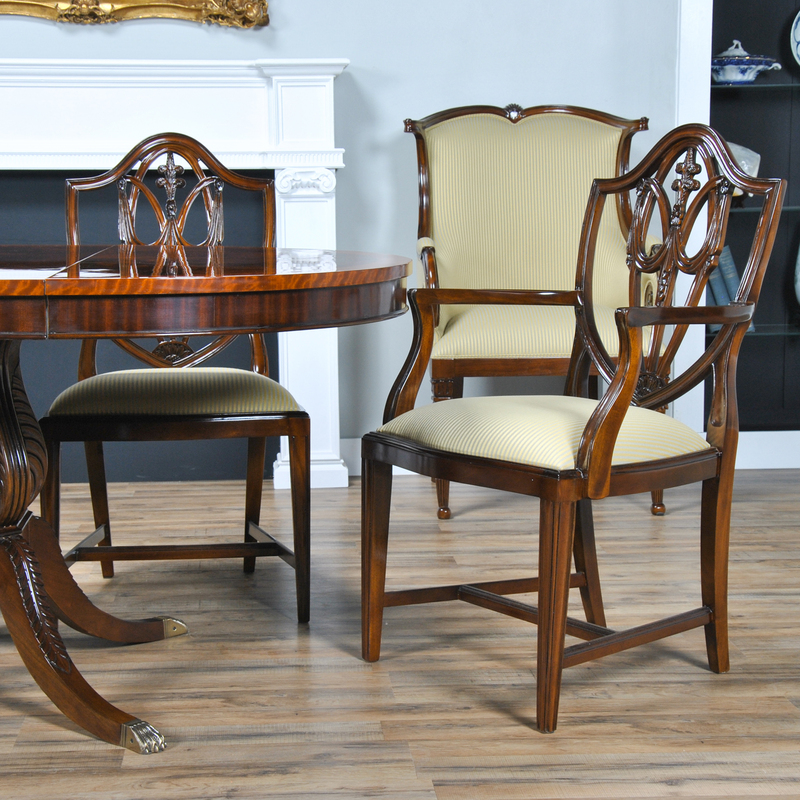 Ideal for intimate dining areas.